During the week, every day starts the same way. My first thought is "Oh holy moly, I'm going to bed early tonight", followed by about ten minutes of moaning and groaning, before finally rolling myself out of bed and then the fun begins. I run around the house getting organised, giving myself a maximum of ten minutes to put the war paint on and run out the door. I've perfected the routine of making myself look human in very little time and thought I'd share it with you today! Not only that, I decided to record it for you! I'm having a ball with the whole YouTube thing and tried my hand at doing a voice over. Honest to God, it was so hard and I felt like I had the Countdown clock ticking beside me trying to time everything! But sure it's all part of the learning curve and I'm up for the craic! So without further ado, behold le video. All product details are in the description bar. What products do you use every morning that make you look alive?! Great video as usual. You look great both before and after. I use the last of my Avon BB cream, my Avon Supermagnify mascara and a run over of (surprise, surprise) an Avon lipgloss and I'm ready to rock. When I run out of my avon goodies I will need others so you're videos and blog posts are gold dust and I already have a shopping list in work for when I need replacements! 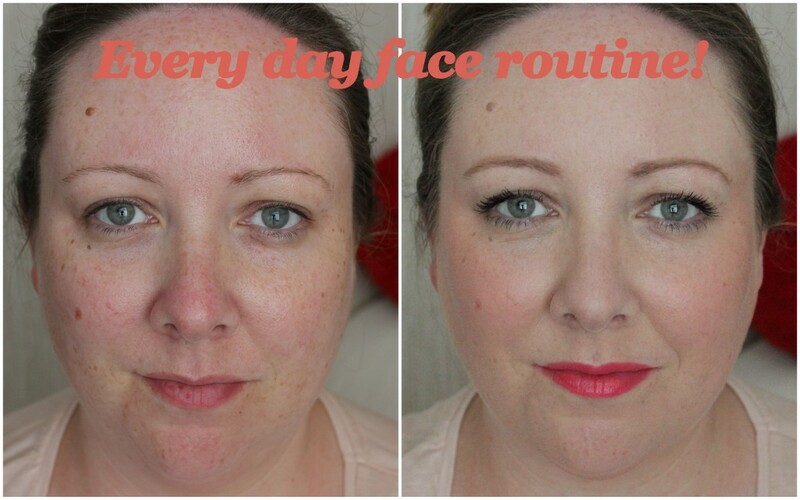 Loved the video - I love looking at foundation routine videos!! Everyone has their own way! Foundation - Garniers BB cream (for combination skin) or Bourjois Healthy Mix. Powder - Either Macs Studio Fix Powder or Fuschias Mineral Foundation.